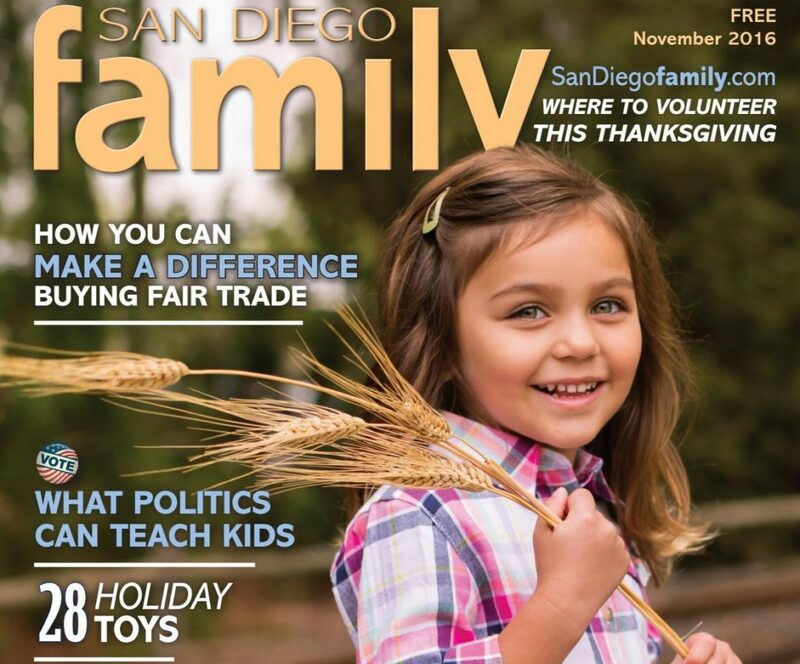 What does Family Wellness mean to Serve San Diego? Family Wellness to Serve San Diego means Adverse Childhood Experiences literacy. Simply, in order for San Diegans to assist one another, which includes leaving one another alone, giving space, and having appropriate physical boundaries. In addition emotional boundaries, communicating with non-violent words, expressing feelings, including feelings of anger and sadness. All of which encompass a culture which is open and affirming with one another because we have empathy for our community. Family wellness means no San Diegan has to go to night hungry. Every child, mother, father, veteran, LGBT youth, adult, and mentally challenging person will have the opportunity to sleep in a habitable dwelling, opportunity to affordable housing, and thrive. The Adverse Childhood Experiences index determines traumatic childhood experiences, such as abuse, neglect, witnessing domestic violence, or has grown up with substance abuse, or crime in the home (Anda et al. 2010). A high ACE score is determinative of social, emotional, and cognitive impairments that lead to an increase in risk of unhealthy behaviors, risk of violence or re-victimization (Ibid). The Adverse Childhood Experiences index is a valid predictive factor for household dysfunction. Ongoing exposure to traumatic stress is toxic and damages a child’s physiological, emotional, cognitive functioning, and identity formation. Thus, negative parenting of our children and youth compromise the genetic ability of youth to transition into adulthood successfully. Dr. Bruce Perry explains how “these crucial associations between positive human interactions, rewards systems, and the stress response networks are the neurobiological glue for all future healthy relationships. They are at the core of why empathy matters.” Thereby, a household without empathy can create an environment of trauma that alters emotional and social development. Therefore, we need to tailor responses for children and youth, because they are extremely at risk to damage their brains. Importantly, trauma to cognitive brain development, often leads to developmental delays, and mental illness. Through maturation and passage of time a child may naturally grow out of their behavioral disorder. Importantly, may experience an increase in resiliency or hope, the family may move, change in environmental factors, or family support structure. The child’s family may increase or decrease in family/community support, parent develops new relationship, or a change in current marital or partner status. In light of these events, trauma of a child is not taken into consideration when exploring Conduct Disorder, Oppositional Defiant Disorder, Attention Deficit Hyperactivity Disorder, or Post Traumatic Stress Disorder with onset developmental delays. Children who experience emotionally toxic environments, shouting in the home, domestic violence, or homelessness are at risk for suffering negative behavioral, cognitive, social, and emotional outcomes. Approximately 26 percent of all children in the United States will witness a traumatic event prior to the age of four (Morse and Wiley, 1997). Dr. Vincent Felitti found: “A powerful graded relationship exists between adverse childhood experiences and risk of attempted suicide throughout the life span. Alcoholism, depressed affect and illicit drug use, which are strongly associated with such experiences” (Dube et al. 2001). Therefore, Serve San Diego will expand on Adverse Childhood Experience research and opportunities for San Diegan’s to heal, prevent, and overcome trauma. Importantly, Serve San Diego also hopes to serve low income mothers and families. Evidence exists for the inﬂuence of parent beliefs on child care choice behaviors, an important public policy goal, to educate mothers, especially low-income mothers, about the importance of quality child care for children’s development. As such, low-income mothers need information on observable components of high quality care. This type of knowledge will help them search for and select care of higher quality. Ecological theory grounds itself in a ‘‘person-process-context.’’ Serve San Diego offers a paradigm in which both personal characteristics of the individual family members (including the developing child) and broader process and contextual factors are seen as important in understanding parental behaviors. Mothers of children with disabilities experience difﬁculties in obtaining high quality care, including lack of access to inclusive center care services (which serves children with and without disabilities in the same setting) and ﬁnancial resources. Consequently, San Diego needs to create more affordable and trustworthy establishments for child care. Programs like Head Start are for preschool education for socially disadvantaged children. These programs are designed to prepare young children cognitively and behaviorally for academic success. Social work has been minimally involved in preschool programs. Over the past several decades, academic achievement has become associated with economic success and upward social mobility. The declining number of low-skill manufacturing jobs in the United States means fewer opportunities to attain or maintain middle-class status without postsecondary education. Access to postsecondary education is related, in large part, to academic achievement in primary and secondary education. Academic achievement in the United States is unequally distributed. Children growing up in higher income families outperform children from lower income children in standardized achievement testing, high school graduation rates, college enrollment, and college graduation rates. Generations of segregation and social exclusion had disadvantaged whole populations, making it difficult for many families to adequately support their children for more rigorous academic demands. Neuroscience is the second major reason that interest in preschool has grown. Advances in neuroscience over the past two decades clarified the critical importance of the first five years of life for later cognitive and affective development. New technologies documented the relationship between early experiences and neural growth. It is well understood that early experiences literally form the architecture of young children’s brains. There are approximately 7 million federally subsidized housing units available for low-income households, which is enough stock for only about one-fourth of eligible families (Park et al. 2014). The huge issue we face in San Diego is a lack of housing inventory with less than a 2% vacancy rate for renters. Little is known about the differences between the households that do and do not obtain housing assistance. Eligibility for housing assistance is primarily based on income. A household must have income under 80 percent of the area median income (AMI) to be eligible for housing assistance. Local public housing authorities are mandated to allocate 75 percent of their Housing Choice Voucher Program vouchers and 40 percent of their project-based vacancies to household’s classiﬁed as having extremely low incomes, or incomes less than 30 percent of the area median income. Reports indicate 40 percent of families were living in doubled-up arrangements either when surveyed or immediately prior to receiving a subsidized housing placement (Ibid). Importantly, only about one-third of PHAs maintain some type of preference for domestic violence victims and their families (Ibid). Anda, R. F., Butchart, A., Felitti, V. J., & Brown, D. W. (2010). Building a framework for global surveillance of the public health implications of adverse childhood experiences. American journal of preventive medicine, 39(1), 93-98. Park, J. M., Fertig, A., & Metraux, S. (2014). Factors contributing to the receipt of housing assistance by low-income families with children in twenty American cities. Social Service Review, 88(1), 166-193. Karr-Morse, R., & Wiley, M. S. (1997). Ghosts from the nursery: Tracing the roots of violence. Atlantic Monthly Press.